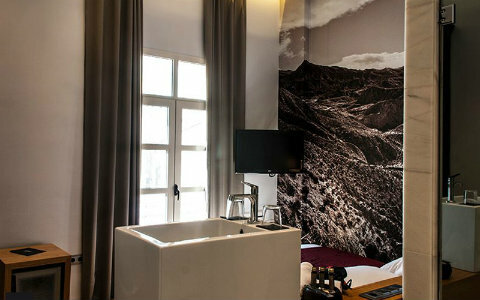 Plaza Vieja Hotel and Lounge is a splendid Boutique Hotel within a nineteenth century building set in a beautiful square, right opposite to the Town Hall, near the Alcazaba Fortress, a 7-minute walk from the city's port and 20 minutes from the beaches of Almeria city. 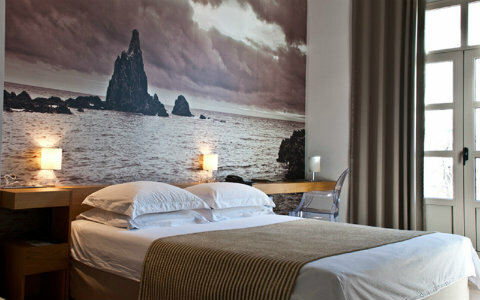 It offers elegant rooms with free Wi-Fi and satellite TV. 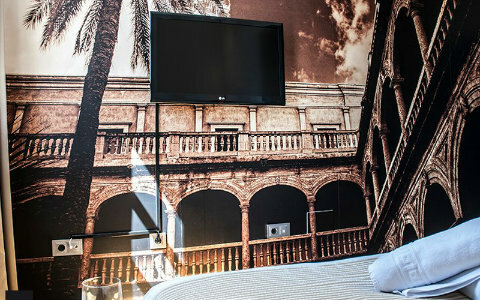 All rooms at this hotel have parquet floors and are decorated with large wall photography, representing some of the most emblematic monuments and spots of Almeria. 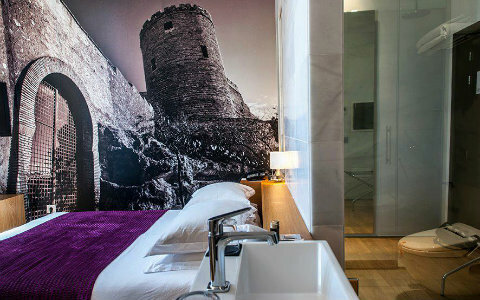 The entire Hotel is of modern design combined with historic touches, the rooms are cozy, air-conditioned and equipped with flat screen TV, rain shower and a pillow menu. 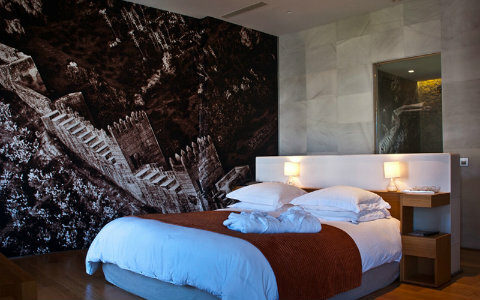 This small and special Hotel is ideal for a Romantic week-end break. 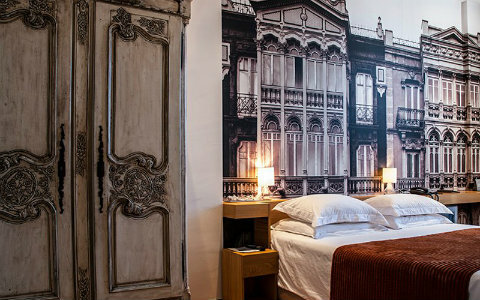 The Restaurant next door belongs to the Plaza Vieja Hotel and Lounge and it is overlooking the entire emblematic old Town Hall square. The chef, Alexis Asenjo, is the trusted person of Alexander, who has put all his knowledge to make your stay a pleasant experience by proposing dishes as rich as the "Tabernero" with mushrooms, egg and poultry, which is a traditional ratatouille at low temperature, with a touch of chipotle chile, which Alejandro has brought from his stay in Mexico, Sautéed zucchini and cod, emphasizing in this dish the foam egg yolk and carpaccio with mustard ice cream, an amazing combination for the palate. Now it's time for dessert, mascarpone and cream, chocolate, the cube, as they call them, and Dracula, will surprise you. The latter is based on a wild vanilla cream, peta zeta (pop rocks) and raspberry foam. But that's not all, for the most daring they recommend a menu of the most representative dishes of Alexander, with selected wines. 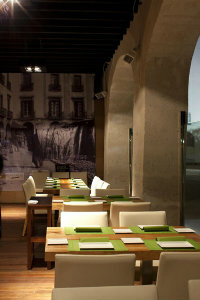 Before leaving Alejandro Plaza Vieja Restaurant, try the mojito, a rum made drink you won't be able to resist. 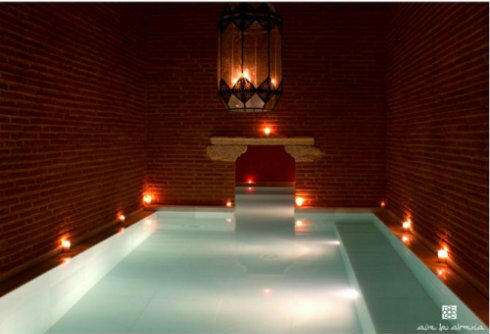 Also next door, and belonging to the Plaza Vieja Hotel and Lounge too, you will find a real treasure for body and soul, the moorish spa and arabic baths: "Aire de Almeria". Note: No need to stay at the Hotel to enjoy these facilities, since these are open to public all year! 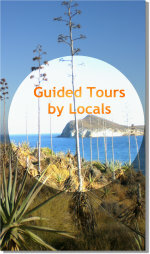 During eight centuries, the arabs enriched Almeria's customs and life style. 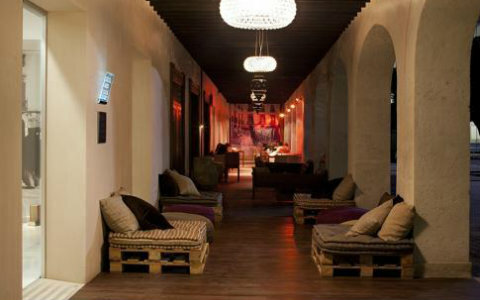 At "Aire de Almeria", you may relax and find your balance, since the establishment rescued the moorish traditions. 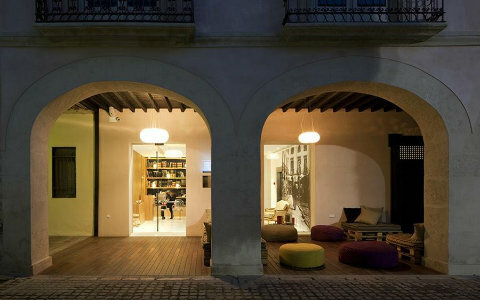 Everything has been taken care of in detail, achieving an atmosphere of total relaxation and silence, with stays in low light acclimated to get off physically and mentally. 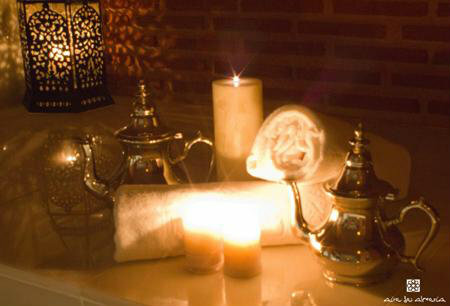 All this is being achieved by feeling the touch of the thousand spurts and jets from the warm water turbines and enjoying the steam room "Hammam". You may also choose from a variety of massages and treatments, including the option to relax on a hot, solid marble piece. All in all you will get to discover the peaceful rest of the body and mind. 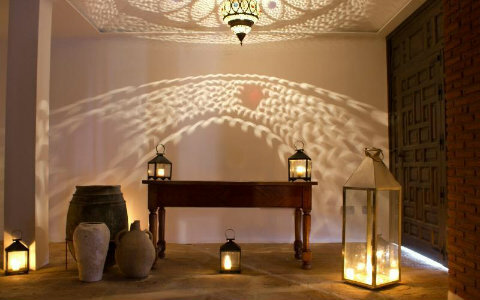 You may book a personalized treatment adapted to your needs, which may range from 20 € from the thermal spa with aromatherapy, up to the most comprehensive treatment of Aire de Almeria at a rate of € 150, including dinner with wine tasting. 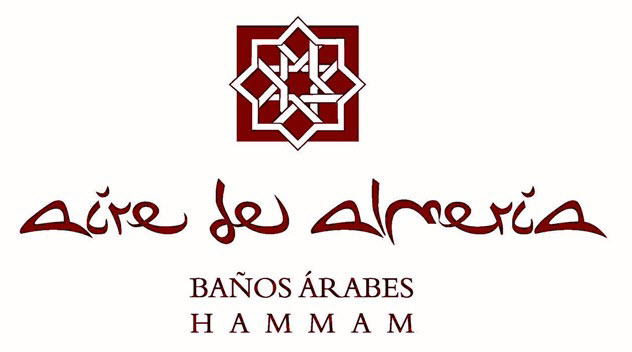 There are also different massages available from 15' to 45' minutes, treatments that are based on Argan oil, exfoliation, hydration, as well as area specific body massages.